Ask any mother what the perfect Mother’s Day gift would be and you’re sure to find the answer is, “Just give me a call.” Although you should absolutely call your mom on Mother’s Day, there is probably a lot more you could do to put a smile on her face. Top of the list would be to pitch in and help with some of the household chores that have been put off for a long while. Top of that list could be junk removal. When you bring in Junk King Albany to take care of this task, the house becomes junk free and you get to spend more time with mom! A lot of the stuff that is in your mom’s home could be there because she just doesn’t have the means to get rid of it all. Junk King can take care of that by providing a very capable two-man moving crew who can lift and load just about any object your mom would want to get rid of. She only has to point to what she wants taken away in the Junk King crew will handle the rest. 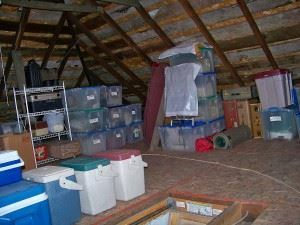 This is a great opportunity for you to help your mother clear out all the clutter from her garage, basement and attic. It will certainly make a huge difference around the house and that is sure to bring a smile for mom. Your mother might be one of those types of people who don’t like to see anything go to waste. This is another reason why you should hire Junk King for your junk removal session. Junk King strives to keep as much of what they collect out of the dump as possible. They accomplish that task by making drop offs to local charities instead. These are the organizations who also hire people to reupholster and fix up old furniture and appliances. That means indirectly when you hire Junk King to get rid of your junk you’re also doing your part to support the economy. Don’t worry about this junk removal session costing a small fortune. Junk King’s pricing policies are based on volume and not weight. It doesn’t matter to Junk King how heavy something is but how much space it will take up on the back of their truck. That means you’ll be getting a great deal every time you use Junk King Albany. This Mother’s Day give your mom the gift of a junk free home with a little help from Junk King Albany. This entry was posted in junk removal and tagged Junk King, junk removal, mother's day on April 30, 2016 by Todd Porter. Last updated August 16, 2017 . Do you remember when you moved into your home? Before the moving trucks unloaded that first box, you probably had a chance to walk through all that open space and imagine how things would be arranged. It wasn’t long before those rooms, closets and cabinets quickly filled up with all your stuff. A lot of the stuff you use on a regular basis. However, over the years, the unwanted stuff can start to pile up. That is what it is so hard to find things in your closet or why you can’t park your car in the garage. Are you ready to reclaim that space? One call to Junk King Albany can get you there. Junk King is the professional junk removal company that isn’t afraid of any pile of rubbish. They’ve tackled all kinds of junk hauling jobs from just removing a sofa and bag of clothes to cleaning out an entire hoarder’s home full of trash. It’s all the same for Junk King. They’ll send over a pair of strong movers who are going to do all the work for you. They don’t mind if they fill up the entire truck or just a corner. All they care about is making sure you’ll be happy when the job is done. Don’t worry if something is too heavy or is “stuck” upstairs or down in the basement. The Junk King team will happily climb the stairs and lift whatever needs loading. Often, that might require the team to take the object apart to insure it can fit around a door jam and not scuff up the walls. The crews from Junk King will have the right tools to get that job done, too. Reclaiming the space in your home includes all the outdoor property as well. The Junk King team can prove to be a big help when it comes to taking away all kinds of yard waste. Whether you have construction materials left over from a remodeling job or you want to take away that old swing set, you can count on Junk King Albany. Before the Junk King crew shows up, make sure you pick out all the things you want removed. You’ll be amazed at how quickly your home can be transformed into a junk free zone. This entry was posted in junk removal and tagged Junk King, junk removal on April 23, 2016 by Todd Porter. Last updated August 16, 2017 . Although they might look the same, an eviction set out should never be confused for a yard sale. Yes, they both put a lot of junk on the lawn but with the eviction, that stuff won’t be going anywhere unless the property manager or landlord arrange for the cleanup. This is not a complicated job but could be very time consuming if you take this on yourself. 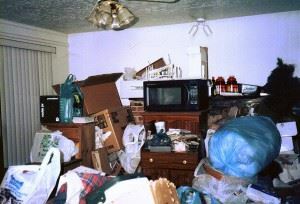 Instead, you might want to turn your eviction set out junk removal over to the pros from Junk King Albany. This is the team of expert junk haulers who will clear that rubbish away in no time at all. There are a handful of individuals who claim to provide junk removal services. The question you need to ask is if you can trust those “companies.” Just because you have a pickup truck doesn’t make you a professional. The crews working for Junk King have all been put through the state regulated process that allows them to be licensed and insured. That is the same standard your should hold for any type of worker coming into your home. Each junk removal session provided by Junk King Albany will be staffed by two strong movers who have all kinds of experience in junk removal. This isn’t just about picking up a heavy sofa and loading it onto a truck. That can totally handle that. But it is also about handling challenging things like a bed-bug infested mattress or furniture damaged by flooding. Those are the exact kinds of cleanup tasks that might occur during an eviction set out. They won’t be a problem for Junk King. Included in the complete junk removal package will be a green way of disposing of your junk. Those other fly-by-night operators will probably just dump your stuff at the nearest landfill. They’ll also charge you extra for the privilege because of the hefty fees charged by those places. With Junk King Albany on the job, your junk could be dropped off to a charity group or recycling facility. Nothing has to go to waste. Most junk removal jobs set up by Junk King Albany are cleared away within 24 hours. That is certainly good to know. When you want your eviction set out situation cleared the right way, you can always count on Junk King Albany. This entry was posted in junk removal and tagged Eviction Set Out, Junk King, junk removal on April 1, 2016 by Todd Porter. Last updated August 16, 2017 .